Are you looking for drain snaking in NJ? First Choice Plumbing, Heating and Drain Service is a licensed and bonded plumbing company specializing in drain snaking in NJ. At 1st Choice Plumbing, Heating and Air Conditioning, our team of plumbing professionals specialize in New Jersey drain snaking services that will keep all of your drains in tiptop shape! As with any other item in your home, regular maintenance is key to ensuring that your drains stay healthy and fully functional at all times. Our technicians can help you realize that goal with our superior drain services. Over time, drains will become clogged due to kitchen greases, soaps and other build up on the walls of the pipes, all of which cause dangerous blockage. In bathrooms, showers, bathtubs and sinks, many drains may need NJ drain snaking after they get backed up with all of these substances. 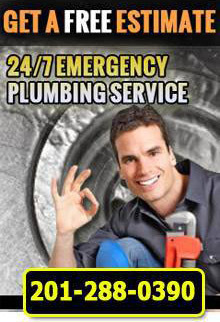 If you are in need of plumbing cleansing, it is important to call an experienced, professional plumber who specializes in sewer and drains in NJ. Often-times, do-it-yourself remedies only put a Band-Aid on the problem, rather than providing a permanent solution. When you get in touch with the experts at 1st Choice, you can be sure that your plumbing will be handled with care and attentiveness, leaving your drains in great condition. For more information about drain snaking in NJ, call First Choice Plumbing, Heating and Drains at 201-288-0390.